... Born in Burao in war-torn northern Somalia, Mr Magid said he did not remember much of his childhood and had never returned to his country of birth. "I remember just being happy, playing around as you do as a kid, but in reality it was a completely different story," he said. 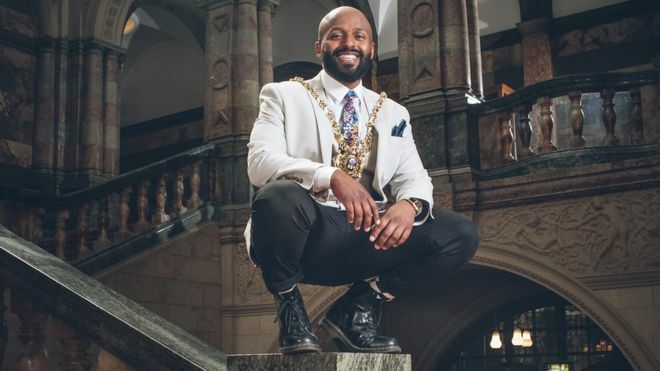 His family set up home in Sheffield's Burngreave area. He said life was difficult when he and his family arrived, trying to learn the language and adapt to a new way of life. His mother worked as a cleaner to look after her children, with Magid and his siblings acting as translators.